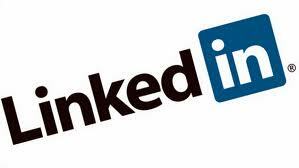 LinkedIn is one of the top social media sites to focus social media marketing on. It is also the number one social media site for business networking and business to business success because it is built with professionals in mind. The way you approach your activities on LinkedIn is also different than how you approach engagement on the other social media sites. For example, while most Facebook followers would start to ignore you if you got too in-depth with business topics, LinkedIn followers welcome them and will begin to ignore you if you make attempts to be too casually social. Acquiring new customers on LinkedIn is one of the best efforts to make for business building. When you take time to ask your top customers to write recommendations for you they will show up on your LinkedIn profile and will be broadcast to your LinkedIn network. Getting recommendations can help skyrocket your social proof. People like to buy from businesses that have happy customers, so the more positive recommendations you can gain, the more potential new customers will be when considering your products and services. LinkedIn has many active groups and industry associations you can become involved in for networking purposes. Becoming engaged with these groups and associations will help solidify your business reputation and will also offer value resources that can help you find answers to any number of topic related questions you may have. There are also many industry specific events. Finding the ones that relate to your business, or the ones your target market is most likely to join will help you gain additional networking benefits that will help build your business. Spending time at LinkedIn forums can help build your business by establishing you as an expert in your field. As an expert, people trust you more and are more apt to buy your products or services because, as an expert, they will expect that you offer the best. Make sure not to market on these forums, simply engage with the other users and answer questions or make an occasional recommendation for the best results. When you spend time getting social on LinkedIn through groups, industries, events and forums, and also start to accumulate recommendations, you will notice an increase in the benefits that succeeding on LinkedIn can offer. Not only can you win new customers and increase your business earnings, but you can meet other professionals that can help you continue to build your business.